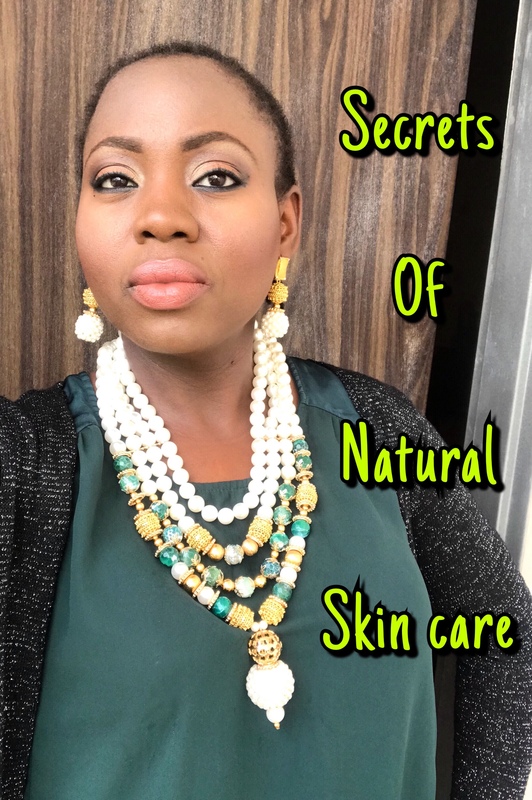 I have been making natural skin care products for almost six years now so I can testify to the goodness of natural products for our skin, hair and general well being. When I use natural skin care products for myself and family, I do feel very good about myself because I know that I am keeping toxins which are common in cosmetic products away. One of the known gains of using natural products is their safety to our skin and the environment at large. Natural products are made from organically grown plants and produce that do not pollute the earth as their systems of farming contain less toxins and are earth-friendly. So if you are looking for a way to contribute to protecting the earth and the environment, then patronize organic skincare products. You will feel good about yourself. Second benefits of natural skin care products is that they protect your skin and body from toxins found in chemicals used for cosmetic products. Natural skin care products are chemical free, preservatives free and are free of artificial colors and other by-products so using natural products will be doing your body and health a whole lot of good. We are at an age where strange diseases and all sorts of cancer is on the increase, many of which have been linked to toxins found in cosmetic products. We must protect our skin and bodies; and going natural is the first step in the right direction. Antioxidants protect our skin cells from damage and are responsible for skin cell regeneration and repair. Natural oils and produce are rich sources of antioxidants which help to repair and restore our skin. Natural oils and other natural skin care ingredients have high anti-inflammatory properties as such have healing powers to heal our skin of damages like fibrosis, spider veins, stretch marks, swelling, sunburn and a whole lot. Natural skin care products have the ability to heal the skin even faster than any store bought cosmetic products loaded with chemicals. Natural skin care ingredients are loaded with properties that boost collagen in our skin. Collagen is the main structural protein found in our skin and body and vitamin C plays a significant role in the formation of collagen. Natural skin care ingredients are loaded with vitamin C that boosts collagen, which gives the skin elasticity and helps fight signs of aging. Natural skin care ingredients are loaded with vitamins and minerals including being natural sources of Vitamins A & E. When you use natural skin care products, you do not need to use synthetic vitamins A or E or collagen because they are so full of nourishment that they fight wrinkles, reverse the signs of aging and makes the skin youthful for longer. Elasticity is what the skin needs to stay youthful and this is what natural skin care products give. Natural skin care ingredients eliminate free radicals because of their rich source of Vitamin C and Alpha hydroxy acids which help to strip the skin of dead skin cells. Take pure goat milk for example, it is so high in AHA and is why it is used for natural skin brightening as it strips the skin of dead cells for a clearer complexion. Citrus based essential oils like orange, lemon, grapefruit are also rich sources of vitamin C and is the reason why they are used in treating acne and pimples. Natural skincare products have the ability to lock in moisture and keep our skin hydrated for longer. So whether we choose to use natural oils or to use natural sources of milk, our skin will receive intense moisture which means beautiful soft and shiny skin as against dry, flaky skin. Natural ingredients like goat milk, lemon oil, orange oil, Jasmine oil, coconut oil and a whole host of others naturally clear our skin of uneven skin tone by stripping the skin of dead cells. With clearer complexion means a more even skin tone and brighter complexion. Since I started using natural skin care products, I spend less time and money on makeup now because I no longer have to battle free radicals or be ashamed to go out bare faced. I love my natural skin so much that I hardly wear makeup. And I believe that this is important because many people spend more time and money on makeup than on their skin. Embrace nature, embrace your skin and you will have only yourself to thank.